Lorena Michel used to rarely leave the house, spending most of her time confined to a single room as she battled depression. Every day seemed gloomy, everything looked grey, and talking to others caused her great anxiety. This went on for two years until one day she summoned the courage to visit the Harbach-Ripley community center. That’s where she began conquering her fears and started to flourish as a leader, so much so that today she’s a certified Community Health Worker with a goal of helping other women stay connected and healthy. It wasn’t easy. Times were rough, with her husband working long, odd hours and Lorena taking care of their two infant children. Constantly feeling fatigued, she would go days without seeing a ray of sunshine or socializing with others. Her children were getting older and she knew she couldn’t afford to stay inside all day. Something needed to change. Fortunately, change arrived in the form of a supportive environment named Harbach-Ripley. While her children participated in activities like ballet and karate, Lorena started to socialize with other neighbors. She found connection and overcame her anxiety. Talking about her issues was one of the hardest things she’s ever done, but doing so helped her flourish and grow. She soon signed up for Zumba classes to stay active and a number of nutrition and health-related programs to improve her diet. 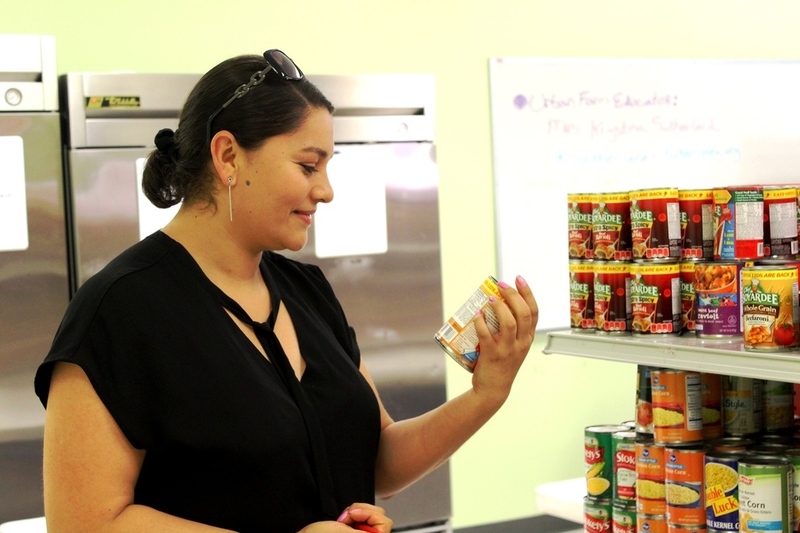 One of those programs is the Community Food Program — an innovative grocery store simulator that gives neighbors access to healthy foods, and teaches them to read labels and to shop from all five food groups. 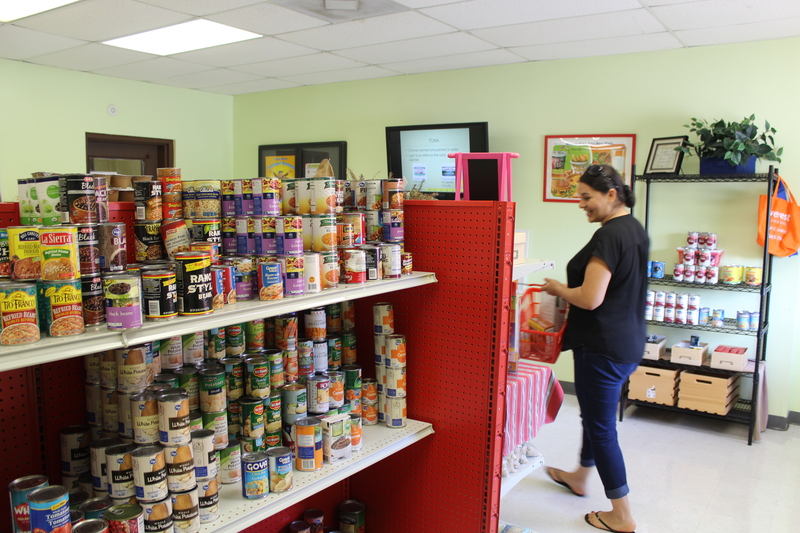 Participants pay $10 for up to 20 items from the pantry, which also helps them save money compared to a regular grocery store. Having really blossomed at Harbach-Ripley, Lorena noticed a lot of other women in the community were going through similar issues of isolation and depression. “I could tell when other women were going through what I had been through,” she says. Motivated to make a difference, she took a more active role in spreading the word and bringing other women to the wellness classes. 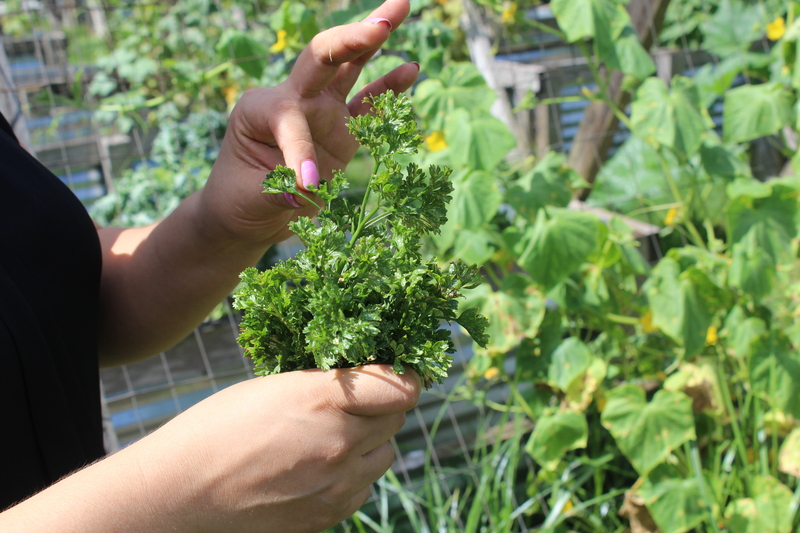 One started a vegan cooking class at the center, helping her neighbors discover new ingredients and ways of cooking. Cassie Jones, Wellness Manager at Harbach-Ripley, saw potential in Lorena as a community leader and encouraged her to join Gateway to Care’s Community Health Worker Training Institute. The state certification prepares women to be health promoters as they commit to improve their health and the health of their families and communities. Each semester three women from Harbach-Ripley attend on a scholarship, and Cassie wanted Lorena to be one of them. But she worried that she wouldn’t do well because the classes were in English and took all day each Wednesday for six months – a huge commitment. Just as she took the first step to tackle her depression, Lorena swallowed her hesitation and signed up. With the encouragement of her instructor, Lorena successfully overcame one last challenge – making her final presentation in front of others. She worked hard at making sure her English pronunciations were correct. Her hard work paid off, and she received her certification a few weeks ago. Due to her dedication, Lorena was recently invited to participate in another program, this one from the University of Texas where people are trained in preventive women’s health. If she accepts, soon she will be presenting in front of even larger groups of people.